Books are a great way to distract you from your current situation, and sometimes they can even lead to answers to solve your problems. 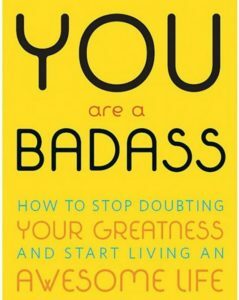 One of my favorite books to read when I’m feeling discouraged is You are a Badass written by Jen Sincero. 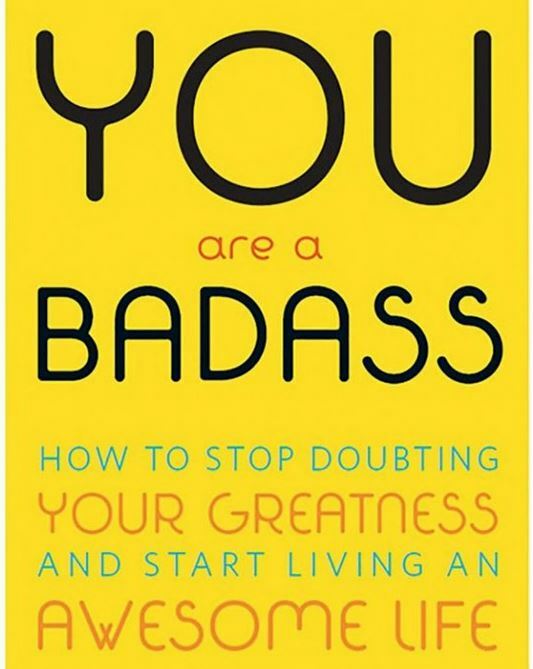 You are a Badass is a self-help book designed to help you find the ‘badass’ (your best self) within you. Not only has this book helped me feel like I can conquer just about any obstacle that comes my way, but it gives some useful tips that I will carry forever. I bought this book two years ago; I’ve read it about 4 times, and each time I read it I walk away feeling great about myself. This isn’t the only book of its kind, nor is it the only book you should read when you are feeling down. Any book that you think will lift you up is worth the read, even if you’ve read a thousand times. It has already been proven that exercising releases endorphins… which increases happiness; and exercise in itself keeps you healthy. So why not combine the two? Don’t get me wrong, I’ve never been a big fan of cardio, or lifting weights; but every now and then when the weather is nice I like to take long walks outside. Walking around, or any other form of exercise, lets me clear my head. And if I’m anxious about anything, it allows me to calm down. There’s also something about fresh air in my system that really makes me feel much better. So, the next time you’re about to freak out, or feel like curling into a ball in your bed, go for a run, go to the gym, or go for a walk and simply just breathe in the air. Grab a Journal, a pen, or a pencil and let your feelings out. No one is going to see what you’re writing anyway (unless you want someone to see it). You don’t need to worry about making it sound good, or making it grammatically correct. Just. Write. Sometimes writing can also lead you to a solution to a problem your trying to solve, or even if you think you don’t have a problem, it can help you find a problem in your life that does need fixing. Writing down what I’m feeling always helps lift some pressure off my shoulders, so the next time you feel stuck and upset let it all out on paper. The next deep breath you take after putting the pencil down, is one of the best deep breaths you’ll probably ever have. More Social Interaction, or Less..
Usually when I find myself down in the dumps, there it’s almost always because I’m spending too much time alone. I’m introverted so I find I’m my best self when I’m left alone to my own thoughts; but sometimes when I’m alone for too long it can get, well, lonely. In these cases I encourage myself to reach out to friends. Go out for lunch with a friend, go to the movies with a small group, or maybe if you’re too far away from close friends facetime them and have a chat. Social interactions, although not my strong suit, can really help me get back into my best self. The same goes for those who are more social than others. If you are feeling down, maybe spend some time to yourself. Meditate, watch a movie, buy yourself a gift. In all of these cases, putting yourself first is what’s important. The same way in which laughing can be the best medicine, sometimes crying is also the best medicine. I know what you’re thinking– wait isn’t this article about trying to pick myself back up? Yes this article is about getting back up from a defeat, but sometimes when all the options above don’t help it’s best not to hold back any tears of sadness, frustration, or anger. When I’m frustrated and stop myself from crying, sooner or later I’m going to break down. It’s okay to cry now and then. And although I can still hear the grown up voice in the back of my head yelling “Crying isn’t going to solve the problem,” that doesn’t mean it’s wrong to do it sometimes. It’s true crying won’t solve any problems, but sometimes when you tell yourself don’t cry, don’t cry, don’t cry, you end up thinking of all the problems that are going to make you cry. Trying not to cry about a problem is counter-productive, so cry your heart out, take a breath, and then think about what problem could use some fixing in your life. You may find you’re ready to go fix it!